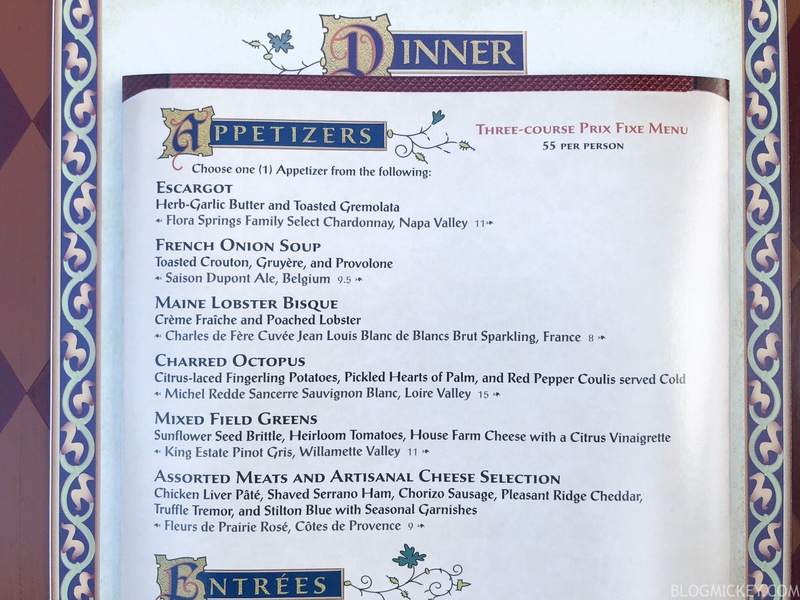 Tonight marks the debut of the new prix fixe menu at Be Our Guest Restaurant in Magic Kingdom. 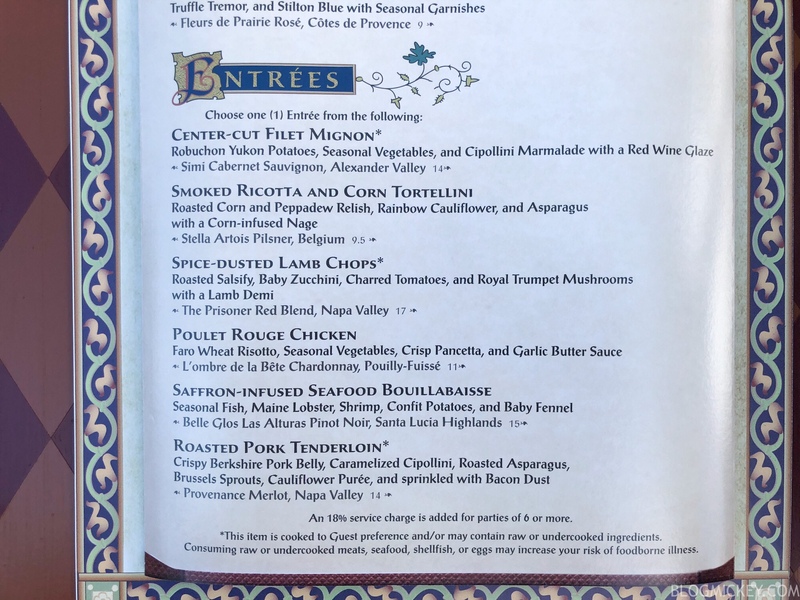 For $55/adult, guests can choose one appetizer, one entree, and one dessert. 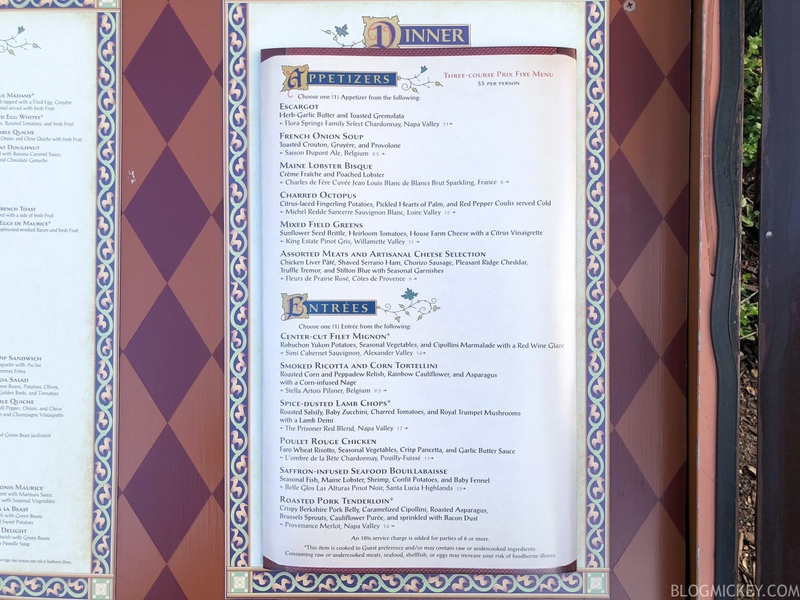 Annual Passholder, Disney Vacation Club, and Tables in Wonderland discounts apply to the new prix fixe menu. The lunch and breakfast offerings remain unchanged. 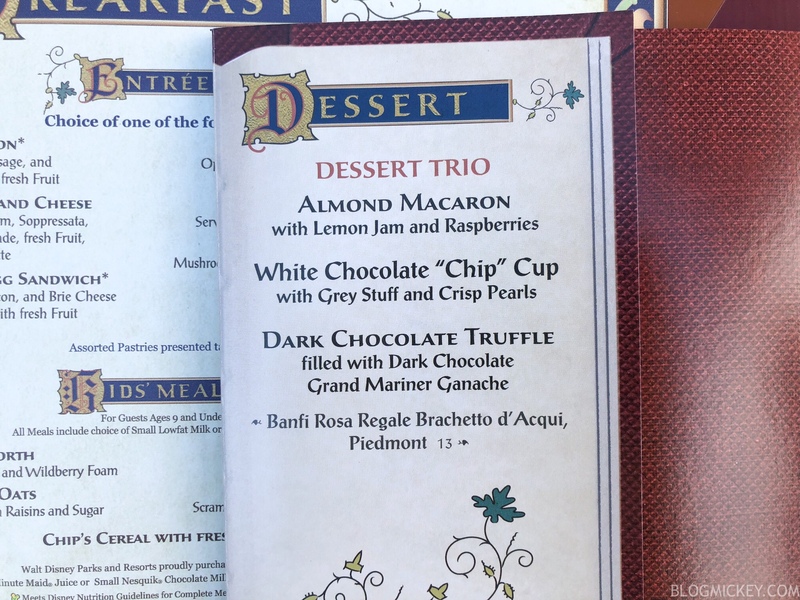 Note that the Grey Stuff will be served inside an edible Chip, according to Cast Members and photos that we’ve seen. 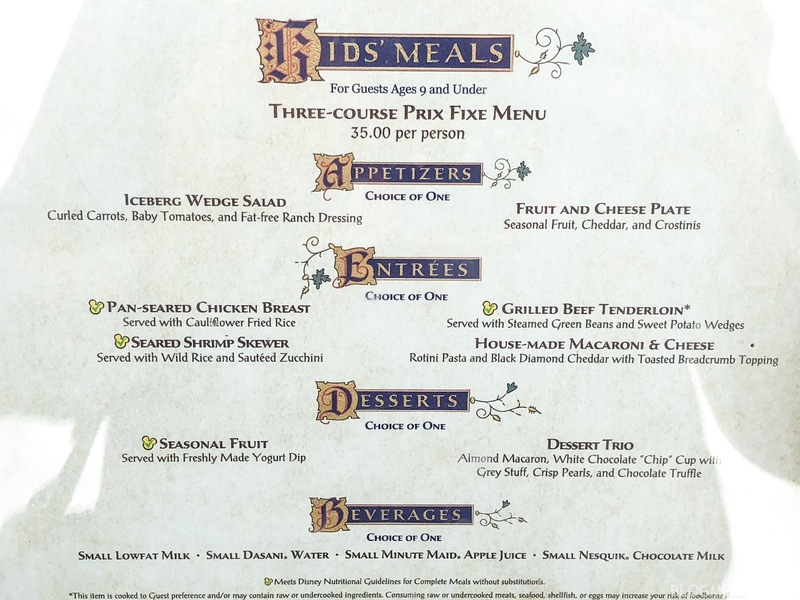 Here’s a look at the kids menu, which is priced at $35. We have a reservation later tonight to try the new menu, so make sure you check back for our thoughts and photos of the new offerings.